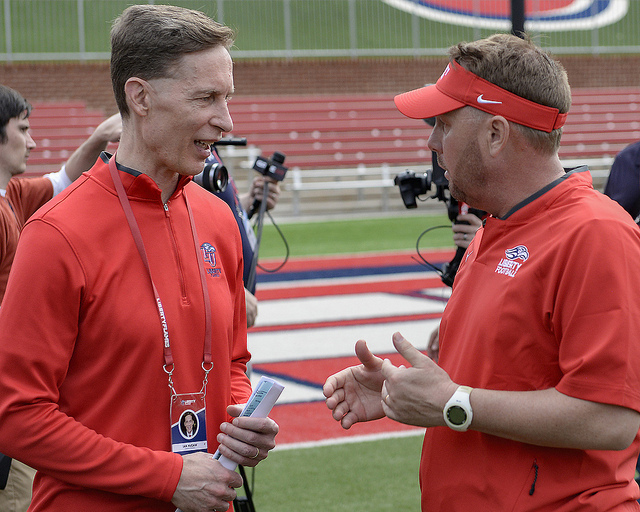 The Liberty Flames had their 15th and final spring practice on Thursday, bringing an end to the first spring practice session of the Hugh Freeze era. 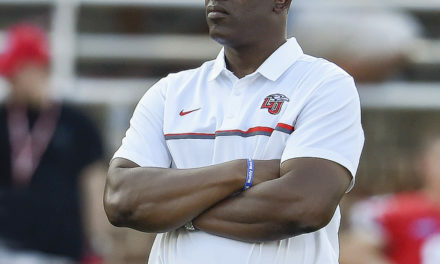 Ever since he was hired, Freeze has emphasized the importance of pushing every member of his coaching staff and every member of the team to the next level and to not grow complacent with their current status. Freeze highlighted the offensive line as the position he was most pleased with during the spring. The Flames return 3 of 5 starters up front, highlighted by right guard Dontae Duff who has made 34 consecutive starts for the Flames. 3-star JUCO transfer Maisen Knight is expected to challenge for playing time at left tackle when he arrives on campus. 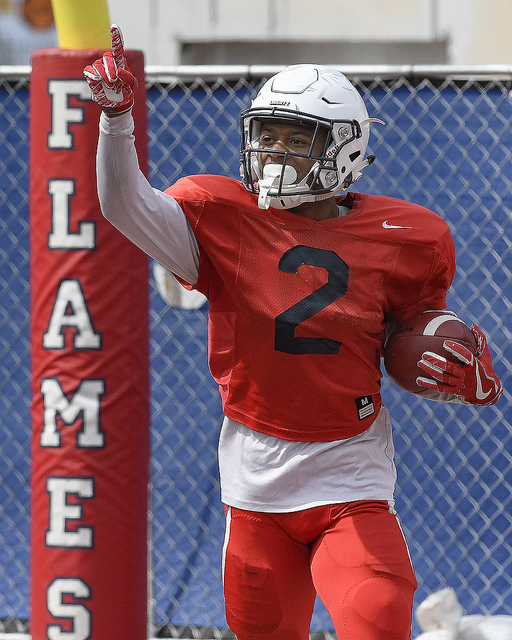 Wide receiver Johnny Huntley, who transferred to Liberty from Colorado a year ago and sat out the 2018 season due to NCAA transfer requirements, was moved to tight end early in spring ball. He gives the Flames a more athletic tight end that can make plays downfield in the passing game. Alongside Chris Barrett and Jerome Jackson, Huntley gives Liberty 3 capable tight ends. Zac Foutz missed the early part of spring ball due to injury and then missed the end of the spring due to legal trouble, but Freeze says he likes to have 4 guys on the roster at tight end – 2 that are athletic pass-catchers and 2 that are more “hand on the ground” types. Defensive line is a position Freeze has mentioned frequently throughout the spring as one that is thin. The Flames will welcome 5 signees to campus to help beef up the defensive front. Three JUCO transfers will join the fray at tackle as 3-stars Elijah James and William Green, Jr and 2-star Devonte Lloyd will immediately provide some depth. 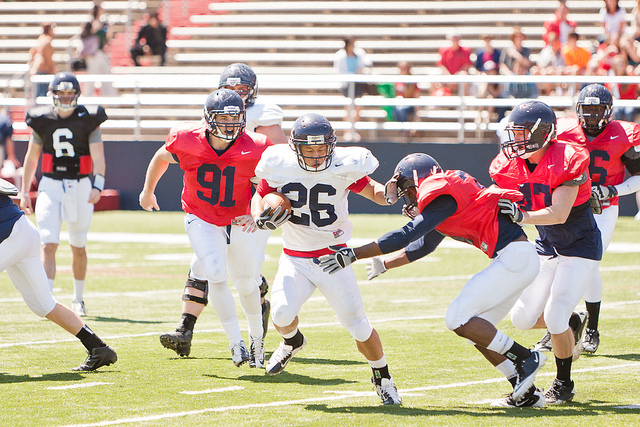 At defensive end, the Flames are anchored by Austin Lewis and Jesse Lemonier who both made an impression on the coaching staff this spring. Freeze also highlighted the secondary as a position that has improved greatly during the spring. Javon Scruggs was moved from corner to safety and looks to be fighting for a starting spot there. Bejour Wilson and JUCO transfer and January enrollee Emanuel Dabney have both made strides at corner. Dabney is originally from Jackson, Mississippi and attended Hinds Community College.